BEAUTIFUL BRICK HOME IN DEVONWOOD SUBDIVISION! FALL IN LOVE w/gorgeous home that offers so much wonderful space for family both inside & out. LOVE, Love, front porch & back yard for family gatherings & grilling out. CLOSE PROXIMITY to Ft Bragg providing easy enjoyment of CROSS CREEK MALL shopping, restaurants, recreational activities & medical facilities. 3 BRS, 2. 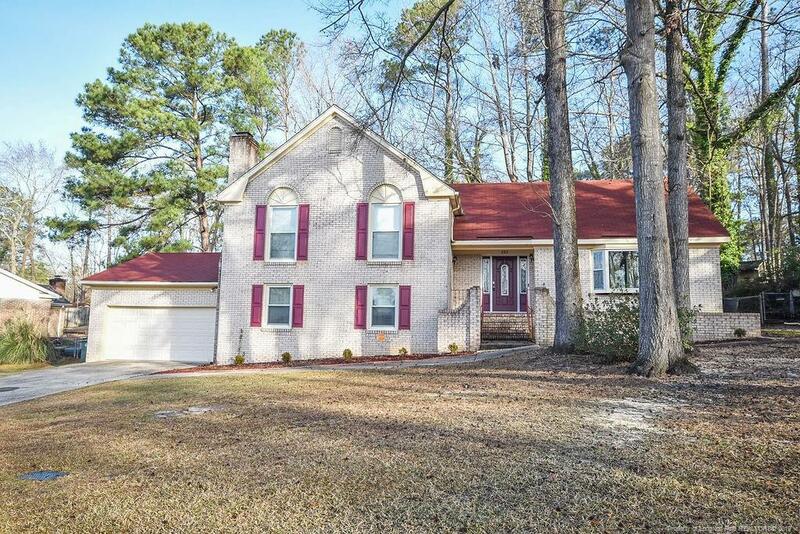 5 BATHS, LARGE KITCHEN w/ceramic tile, CABINETS GALORE, STAINLESS STEEL APPLIANCES, huge BONUS ROOM on lower level w/fireplace, separate laundry, AWESOME DECK to enjoy quiet evening or family barbecue. DOUBLE GARAGE w/plenty of space for extra storage or those MAN CAVE items/extra vehicles. NEW PAINT, NEW CARPET & APPLIANCES. State of the art-smart security system that allows control of security of home - comes w/ built in doorbell cameras , keyless lock control, movement sensors that detect movement throughout home, window break sensor, & controls thermostat EVEN when you are on vacation.